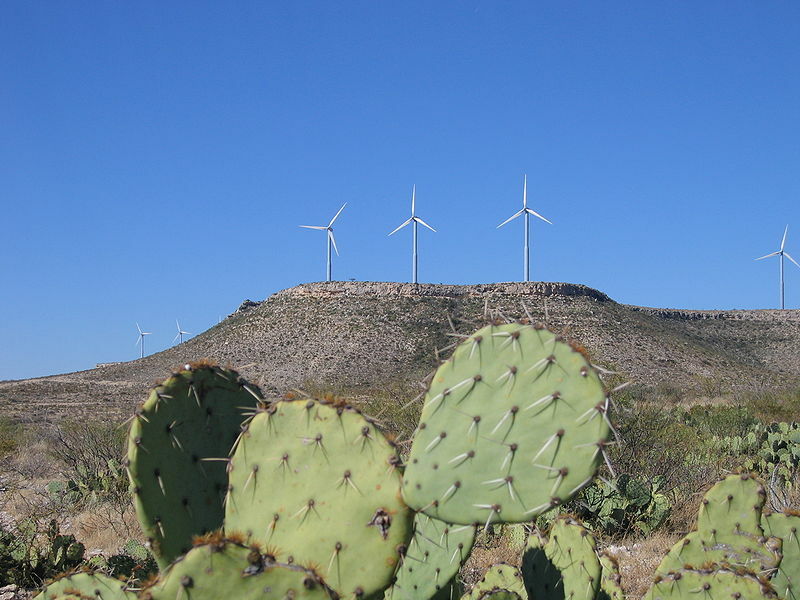 In a recent blog post, I reported on the completion of a large amount of CREZ transmission lines – infrastructure that incentivizes the production of wind energy – here in Texas. While the discussion around wind energy is usually around environmental responsibility, it is important not to overlook some of the more salient effects of wind energy – namely, consumer savings. A recent report by the American Wind Energy Association notes that states that get more than 7% of their energy from wind have seen electric rates go down by .37% over the last five years, whereas all other states have seen a 7.79% increase in electric rates. Luckily, Texas is one of these 11 states that get more than 7% of its energy from wind, along with Wyoming, Oregon, Oklahoma, Idaho, Colorado, Kansas, Minnesota, North Dakota, South Dakota and Iowa. There’s still more good news to come – as more wind develops in Texas, your electric bill could be lowered even more. Some reports show that when wind provides 14% of electricity, prices drop 10%, and when it reaches 24%, prices decline 15% . Wind’s not just good for the environment, it’s good for your wallet, too. According to Bloomberg, with four days left in 2012, wind-turbine installations are expected to exceed natural gas-fueled power plants in the U.S. for the first time as wind farm developers race to complete projects before a renewable energy tax credit expires. New wind capacity reached 6,519 megawatts by Nov. 30th of this year, beating the 6,335 megawatts of gas additions and more than double that of coal, according to data from Ventyx Incm which plans to release final tallies in January. Congress has yet to renew the production tax credit, which provides incentives for wind farms completed before Dec. 31, 2012. Efforts to take advantage of the subsidy trumped interest in gas-fired stations, which are supported by a plunge in prices for the commodity resulting from added production through hydraulic fracturing. To qualify for the tax credit, which pays wind farm owners 2.2 cents per kilowatt-hour of power they produce over 10 years, projects must be online and producing power by Jan. 1. A bill to extend the wind production tax credit was approved by the Senate Finance Committee in August. Unless Congress extends the incentive, wind turbine installations are predicted to fall 88 percent next year according to a forecast by New Energy Finance. Earlier this month, in an effort to head off opposition to an extension, the American Wind Energy Association proposed a six-year phase-out of the credit, ending the subsidy at the start of 2019. They claim 37,000 jobs will be lost if the credit lapses now. An increase in gas prices may make wind even more competitive. Gas futures saw their first annual increase since 2007, rising almost 15 percent this year. And, utilities in 29 states are required to get an increasing amount of their supplies from renewable resources such as wind and solar, whether or not Congress renews the tax credits.